CHANGE IS POSSIBLE WHEN WE WORK TOGETHER. Lori By Design, LLC believes as creative problem solvers, we have a personal responsibility to share our time, talents and skills to help foster a positive impact benefiting social and environmental causes. We align our values, skills and passions through artistic storytelling crafting a visual footprint that affect positive change. Giving back to our community through use of local photography helps to capture the essence and goals of the nonprofit and is shared through responsive website design, social media strategies and other forms of print and online communications. The greatest of causes and efforts of change cannot be realized unless they are known. That is where we come into play. We put our efforts into organizations that make changes by getting involved first with action. Serving on the board of Cape Henry Rotary Club and the Oyster Crush Charity Fundraiser as Public Relations, Web and Marketing, we were able to connect with local efforts raising awareness of social needs with fundraising. By supporting a greater good, we strengthen our commitments through action. 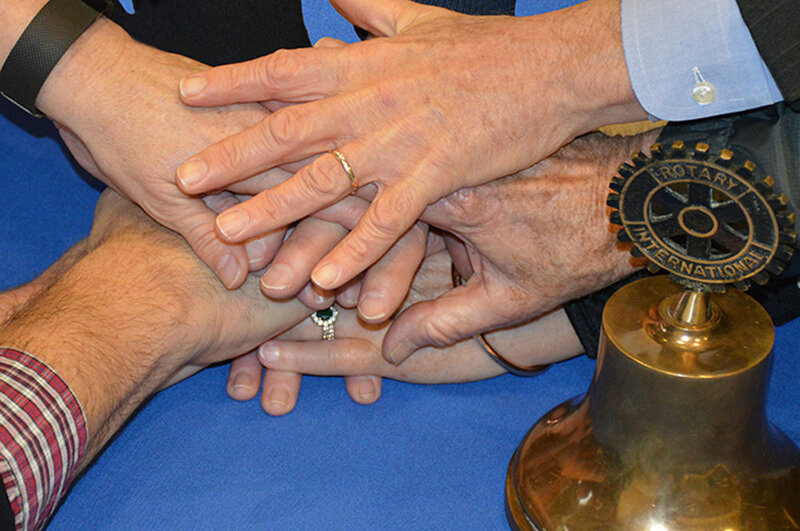 The choice to join Rotary and in particular Cape Henry Rotary Club was an easy fit. Being introduced to the organization by attending Oyster Crush as a representative of the M. E. Cox Center and doing contract work for Senior Services pathed the way. CHR invites charities to apply for inclusion to Oyster Crush with their individual needs and aligns that need to one of Rotary’s Areas of Focus. We raise money by selling sponsorships and ticket sales to the event that is promoted on various media outlets, print and social. Lori By Design, LLC creates the branded content the club promotes and has become highly recognized within the community. Each year upwards of $50,000 is given to those charities who have come to depend on the help. As a 2017 LEAD Hampton Roads graduate and serving on the Board of Trustees, we saw the need for a strong visual website highlighting the curriculum, providing details and sharing activities of the three programs taught. We also included the ongoing annual events of BRAVO! Celebration, State of the Region reports and Alumni gatherings. It was important to share the leadership training story of LEAD, celebrating 30 years in Hampton Roads and turning out so many notable change-makers who in turn have given back and support our region. Involved in community projects, charities and board governance with the Rotary Club of Cape Henry, Lori's efforts have produced profits that unify the message of service, simplify the objectives through visual communication and action that have amplified the returns to help more people. Implemented with the club, a rebranding effort across the board in web, print and social media. Developing a new tagline—EAT. DRINK. DANCE. + HAVE FUN supporting local charities became the springboard directing visual tone to vibrant color and local action photography with increased emphasis to sponsored charities. elevating the event to the next level in funds raised and event sell out. Social media marketing was a key factor contributing to it's huge success. As a LEAD Hampton Roads grad in 2017, it was an honor to have been selected to participate in this stellar leadership training program. A division of the Hampton Roads Chamber, LEAD provides individuals starting as young as high school the opportunity to develop leadership skills and exposure to change-makers in Hampton Roads with "behind-the scene" practical information to use further in life. Creating a responsive website to share their visual story so others can benefit through their programs was a gift.